First, you need to know what operating system your computer is running. I don't know a lot about Macintosh computers or the latest windows, but on Windows 7 you can find out these details by clicking the start button, then right-click on "Computer" and pick "Properties". (It looks like you can get the same screen by clicking Start > Control Panel > System). 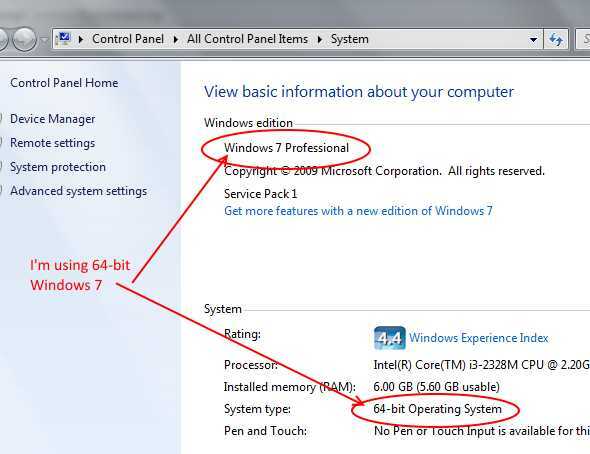 In the screen shot fragment below, you can see I'm running a 64-bit version of Windows. If you have a Mac, reply to this message (to the list) with as much info as possible and hopefully someone with knowledge of that kind of machine can help you. Also, note that PSPP is still somewhat rough and unfortunately there can be more bugs in the Windows/Mac versions. On the plus side, if you report the bugs, the developers will work to fix them. Prev by Date: installation for windows? Previous by thread: installation for windows?